Harmony Hairspray Advert - Do You Remember? "Is she... isn't she?" 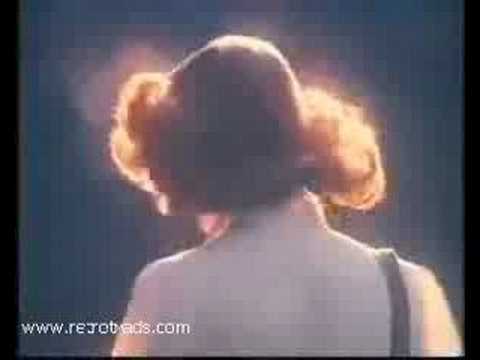 was the catchline from the 70's advert for Harmony Hairspray which featured a girl with big hair walking down a road and two macho type guys saying, "Is she or isn't she?". Apparently they were trying to guess whether she was wearing hairspray! Two guys, one pretty girl and some hairspray, hmmmm. I was 14/15 at the time, and although I never used this catchphrase as a pick up line I know some of my friends did...how sad! Having said that, they swore blind it worked... yeh right lads. But then, it was the 70's! Do You Remember Harmony Hairspray Advert? Yes I do, i used the one for Normal Hold, ( it had an orange cap). I still use it today but have to contend with the one for Firm Hold. I do wish they would bring this advert back but with a modern theme. They'd never be able to make an advert like that today. Not with all the PC nonesense today. I agree, it would be very awkward. hold a match to her hair, that'll tell you if she is or not!